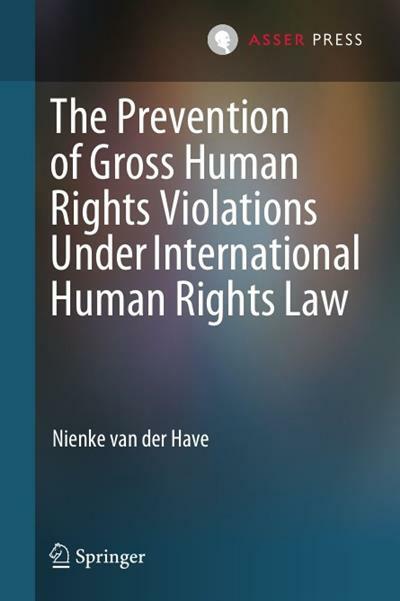 The Prevention of Gross Human Rights Violations Under International Human Rights Law | Free eBooks Download - EBOOKEE! This book contains a systematic assessment of the content and scope of obligationsto prevent gross human rights violations. There has been a great deal of attention forconcepts aiming to prevent gross human rights violations, such as conflict preventionand the responsibility to protect. Yet despite this shift in attention towards prevention,it has remained unclear what legal obligations states have to prevent gross human rightsviolations under international human rights law. The focus in this book is on three specific types of injury prohibited under internationalhuman rights law: torture, arbitrary death and genocide. Further distinctions are madebetween four temporal phases (long-term prevention, short-term prevention, preventingcontinuation, preventing recurrence) and territorial and extraterritorial obligations. The structure of the book allows academics and practitioners to learn about obligationsto prevent gross human rights violations in a general sense, as well as find targetedinformation on the content and scope of obligations in specific settings. Nienke van der Have recently completed her Ph.D. at the Amsterdam Center forInternational Law, which forms part of the University of Amsterdam's Facultyof Law, and currently works as Senior legal specialist at the department ofConstitutional Affairs and Legislation of the Ministry of the Interior and KingdomRelations of The Netherlands. No comments for "The Prevention of Gross Human Rights Violations Under International Human Rights Law".